Harvest time in Birsay in 1966. Upper Grindally in the background. 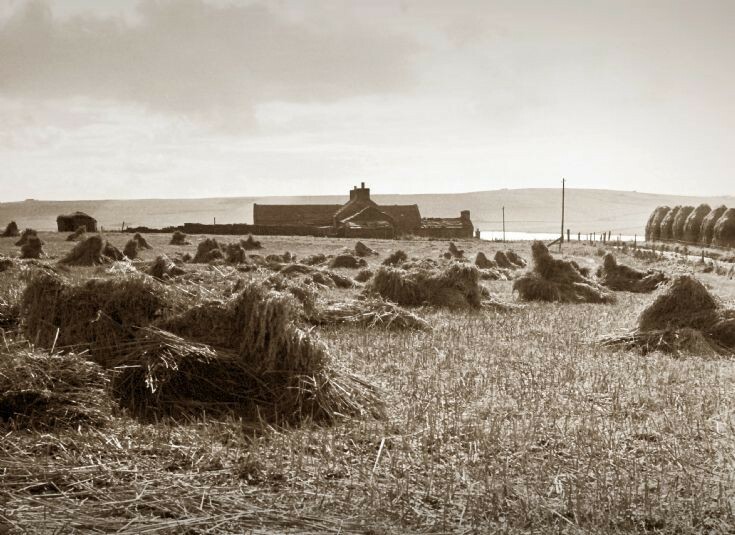 Stooks were blown over by the wind. Field to the right of the road now safely gathered.